Spring Fair has become a key annual event for Deco-Pak as it continues its diversification into gift-focussed products. This year the company is excited to return to the exhibition, as not only does it have a new selection of insect hotels and eye-catching retail theatre to share with the industry, but the team also enter the show with an award nod from the leading trade body for the gift market, The Gift Association. Launched at Glee in late 2016, Deco-Pak’s Insect Hotel range has broadened the company’s presence within the giftware market, as well as strengthening its offering for garden retailers. As the company gets ready to showcase the full range at Spring Fair it has been confirmed that the Insect Hotel Tower – a triple storey home for creepy crawlies featuring a galvanised aluminium roof – has been shortlisted for the Gift of the Year award by the Gift Association. In addition to showcasing its full range of insect hotels, Deco-Pak will also bring its stunning Garden Bazaar portfolio of design-led birdhouses and feeders. Additionally, visitors will be treated to a visual feast with Deco-Pak’s new freestanding display units for both Decorative Birdhouse and Insect Hotel ranges. Reaching over 7ft high, the merchandisers feature mock trees with an accompanying picket fence which will place the products in a playful garden setting; providing real impact both within the exhibition hall as well as within a retail setting. 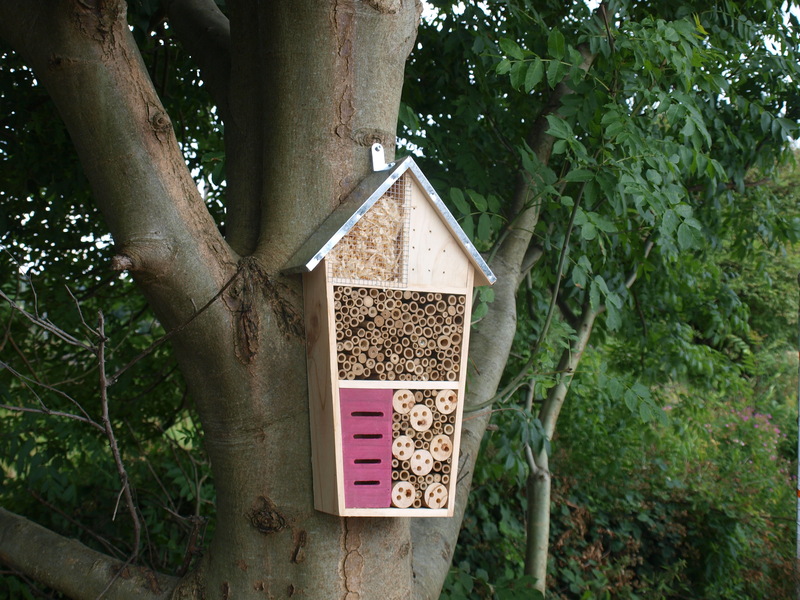 Not content with being the UK’s leading supplier of decorative aggregates and landscaping products, Deco-Pak added the Garden Bazaar range decorative birdhouses and feeders – and now Insect Hotels – to its portfolio in 2013. Since then the company has carved out a loyal customer base, thanks to the ranges’ unique design and high quality of build. Not only this but the profit opportunity afforded by retailers is unrivalled, thanks to the year-round sales potential. Perfect gifts for birthdays, Easter, Mother’s Day, Christmas and throughout the key fledgling season, the Garden Bazaar range appeals to a wide range of consumers looking for something designer without the designer price tag. To see all of this for yourself be sure to join Deco-Pak on stand (Hall 6, stand Q08) at Spring Fair. Alternatively please contact the team by telephone – 01422 204394, fax – 01422 204544, or visit www.deco-pak.co.uk.